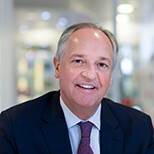 Paul Polman has been chief executive officer of Unilever since January 2009. Under his leadership, Unilever has set out an ambitious vision to double its size, while reducing its overall environmental footprint and increasing its positive social impact. He is chairman of the World Business Council for Sustainable Development, a member of the International Business Council of the World Economic Forum and serves on the Board of the U.N. Global Compact. He is also on the board of the Global Consumer Goods Forum. He is a former recipient of the Atlantic Council Award for Distinguished Business Leadership and the CK Prahalad Award for Global Sustainability Leadership. Last year he received the U.N. Foundation "Champion of Global Change" Award.